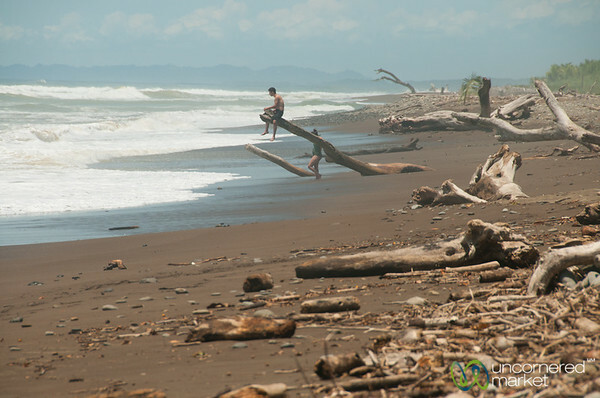 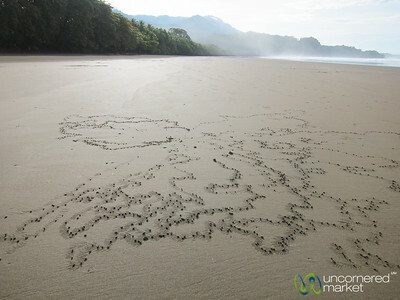 Costa Rica Pacific Coast travel highlights, including Bahia Ballena, Dominical, Tarcoles, Quepos and Manuel Antonio. 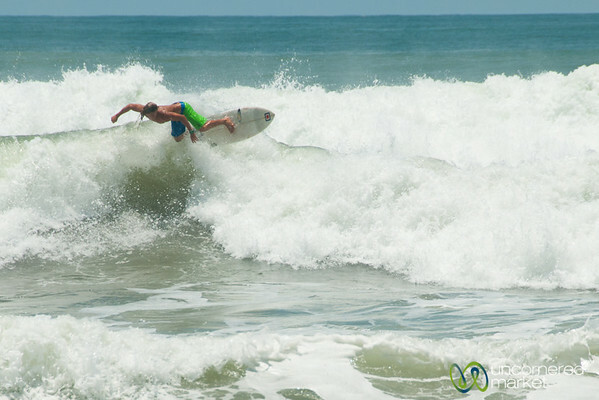 Surfer catches the wave at Dominical Beach in Costa Rica. 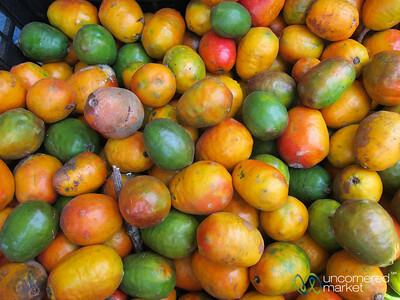 Colorful jocote fruit at a stand in Dominical, Costa Rica. 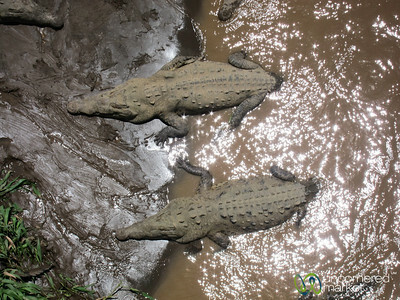 Crocodiles lazing around in the Tarcoles River, Costa Rica. 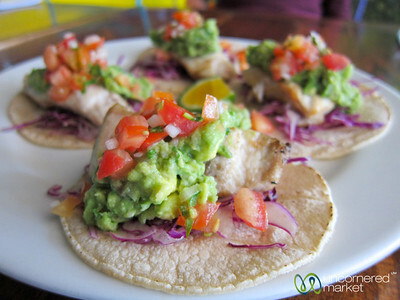 Beautiful and tasty plate of fish tacos at Cafe Milagro - Manuel Antonio in Costa Rica. 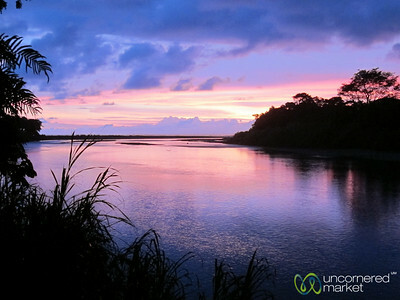 Colorful sunset over the Baru River in Dominical, Costa Rica. 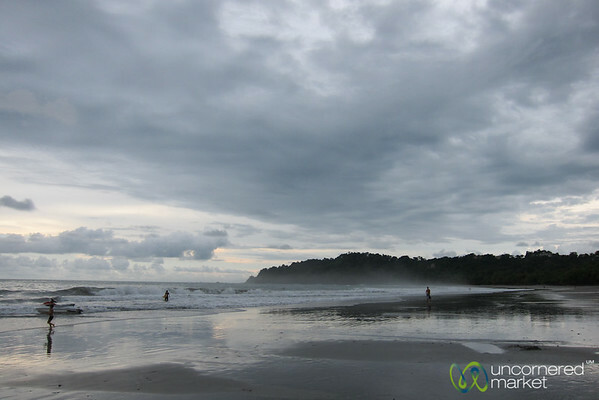 Late afternoon waves at Manuel Antonio Beach in Costa Rica. 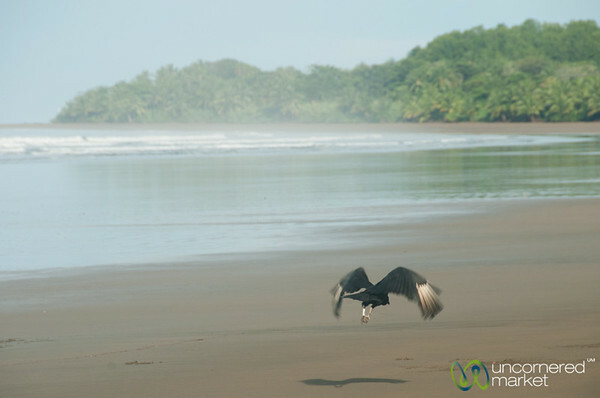 Vulture takes off to fly along Bahia Ballena beach, Costa Rica. 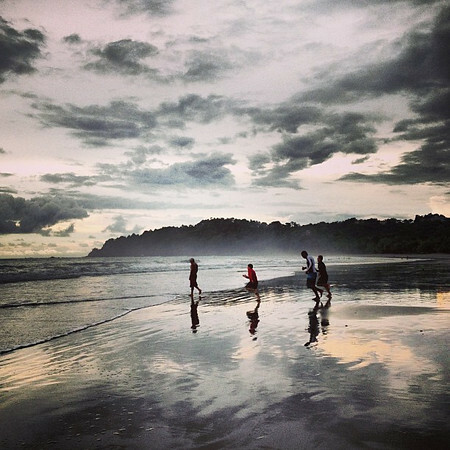 Time to hit the surf! 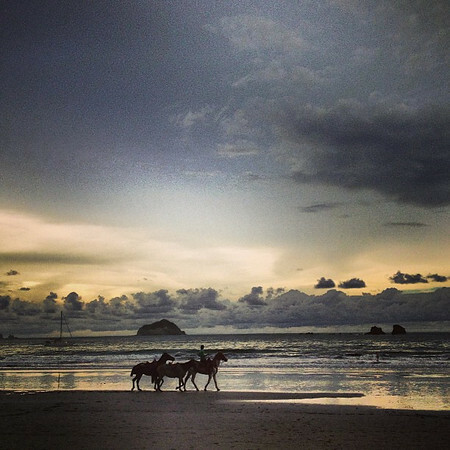 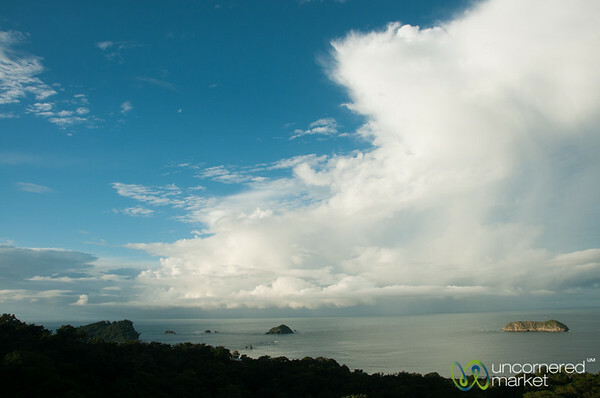 Mixed sky, late afternoon at Playa Manuel Antonio, Costa Rica. 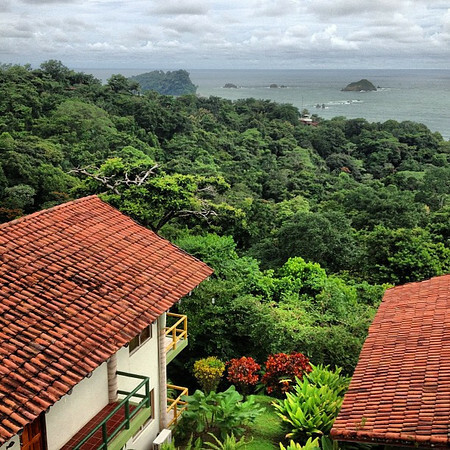 View from our room at Si Como No at Manuel Antonio, Costa Rica. 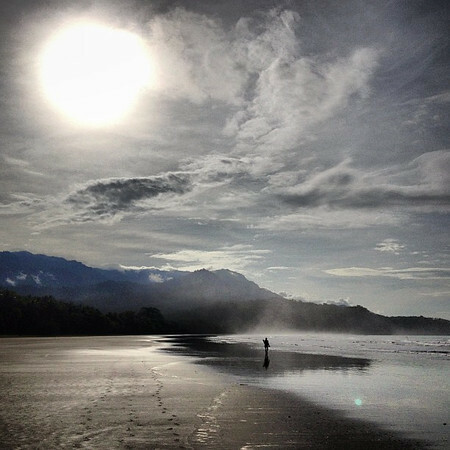 A long, low-tide sunrise walk along Bahia Ballena, Costa Rica with all the trimmings: steam and mist off the sand, clouds rising from the jungle behind and a lone beachcomber at the water's edge. Crabs make fun designs on the beach of Bahia Ballena, Costa Rica. 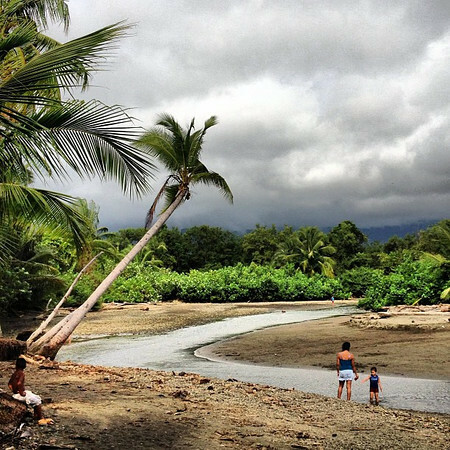 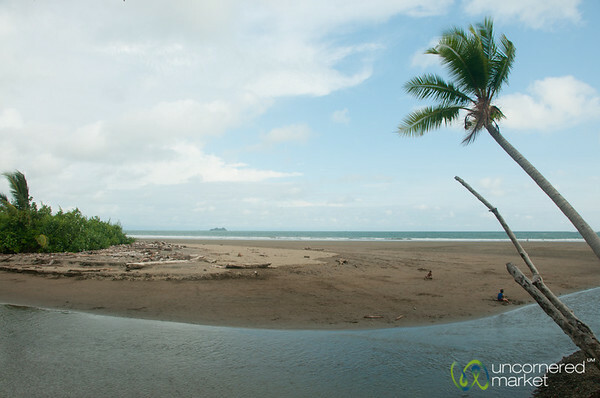 Walking out to the beach at Bahia Ballena on the Pacific Coast of Costa Rica. 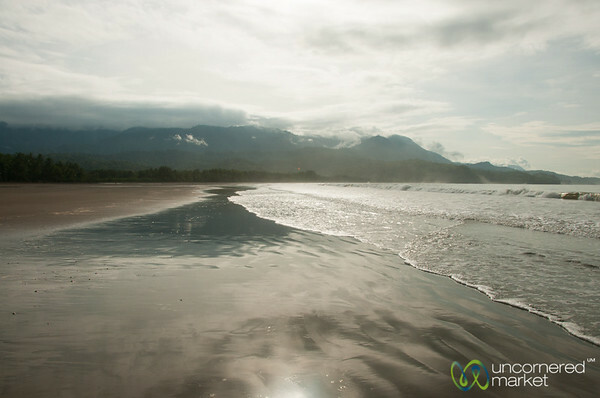 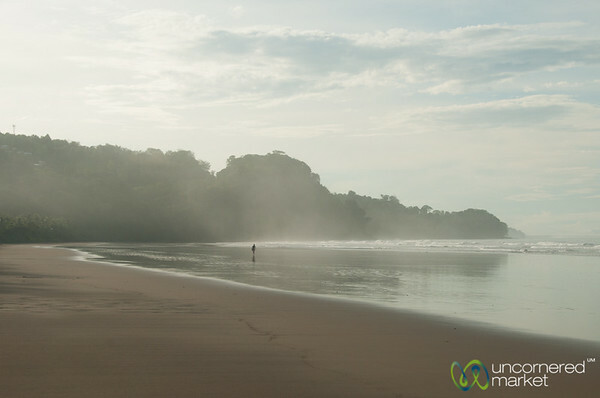 Early morning walk along Bahia Ballena Beach, Costa Rica. 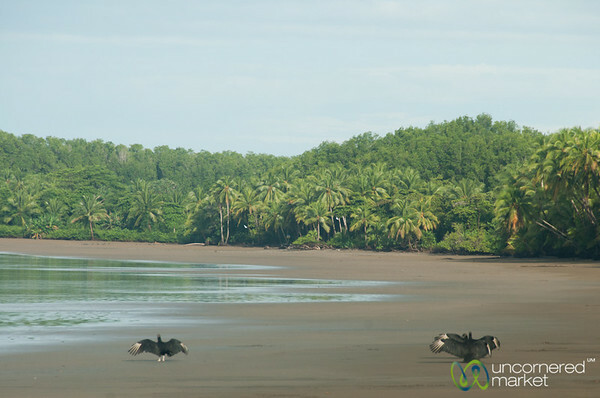 Vultures sun themselves and dry off their wings at the beach in Bahia Ballena, Costa Rica. 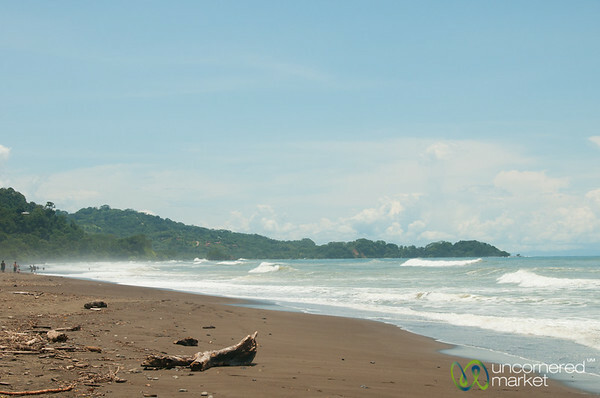 Watching the waves at Dominical Beach, Costa Rica.